SixPaca.com was in need of a better web presence. 3PRIME transformed their website into an up-to-date, professional version where all of the Farm’s events and services can be easily accessed by site visitors. We developed sections to display alpacas according to their category, and events going on at the Farm. 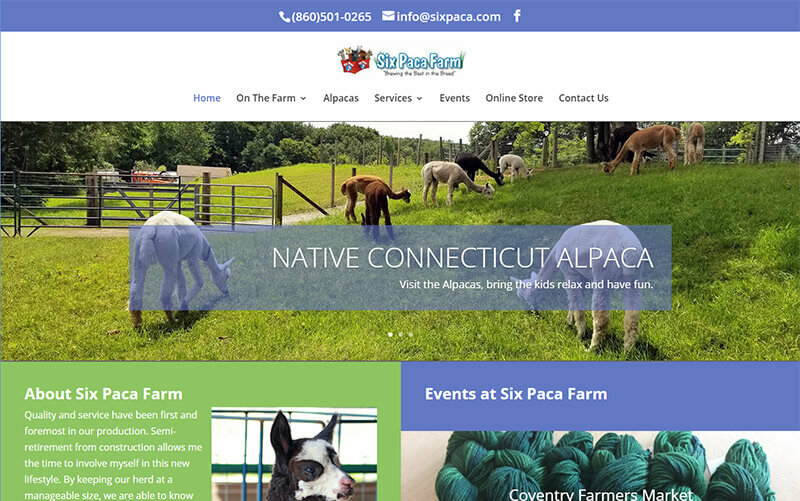 With a responsive web design, this new site will help Six Paca Farms gain traction on the Internet. We also considered search engine optimization by using best practices and proper keywords and meta tags.